Brenda @ It's A Beautiful Life: It Feels Like Christmas: Let's Have A Giveaway! It Feels Like Christmas: Let's Have A Giveaway! This morning I feel like a kid at Christmas. You see, I've been tracking the journey of my Christmas magazine from Blurb to my house (see previous post for background). Today is delivery day. I hopped out of bed, put on my clothes and a dab of lipstick. I'm humming: Ring, doorbell, ring! Canada Post has your parcel and it's coming today. 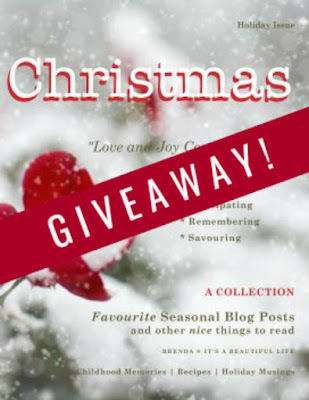 To celebrate, let's have a Giveaway: one hot-off-the-press old-fashioned paper copy of Christmas: A Collection of Favourite Seasonal Blog Posts. "This 88-page collection of seasonal posts originally written for the author's blog. Beautiful photos and thoughtful conversational-style pieces about cherished childhood memories, recipes, special family traditions, and other nice things are woven together in this special keepsake magazine. Perfect for reading by the fireplace as you wait for Christmas." you feel happy or eager for Christmas. let me know, and your name goes in the draw a second time. Fingers crossed and here's hoping! It just arrived!! As soon as I can, I will be making my keepsake magazine available on the Blurb online web store, should anyone wish to purchase a copy. Was waiting for a paper copy in hand to review before I sent it out into the world. It's up on the Blurb web bookstore here. You can see a preview of the magazine -- it is available for purchase in print or PDF. There is still time before Christmas if you don't delay. Christmas is a happy/sad time of year. So much as changed over the years, parents all passed and Christmas is not the same. Lest you think it is all melancholy, we do have a group of wonderful friends. Your beautiful magazine will certainly bring much Christmas cheer! Congratulations on the new book! It just sounds wonderful. There are so many inviting things about Christmas, but I always love how beautiful our tree looks and how much light and joy it adds to the house. I also love lighting our Advent candles every night and reading a passage from the scriptures. It is a beautiful, quiet and yet exciting time as we wait for the birth of our Saviour. Thank you for this wonderful giveaway! Congrats on the book publication! This is so wonderful, Bren! Christmas memories are the best kind. I remember decorating the tree with my brothers and sisters as my dad sat back and supervised. We always added the icicles (tinsel) at the end...sometimes just standing back as we threw handfuls and watching where it landed! Thanks for having the giveaway! Looks like a beautiful magazine. Always have loved Christmas. Still do. Well done Brenda! Your magazine looks interesting and very professional. For me Christmas is heralded by music, carols, oratorios, songs that I've known ans sung for years. Your magazine is such a great idea. I know I would love it if it is anything like your blog! For me, Christmas is best served around a table of family and friends, playing games, and reaching for a bowl of poppycock! That is sooooo exciting, Brenda!! Kudos to you for completing this project! I love so many things about Christmas, but near the top of the list is beautiful Christmas music! I have always loved Christmas, but recently I discovered just how many of my writings have been about Christmas. 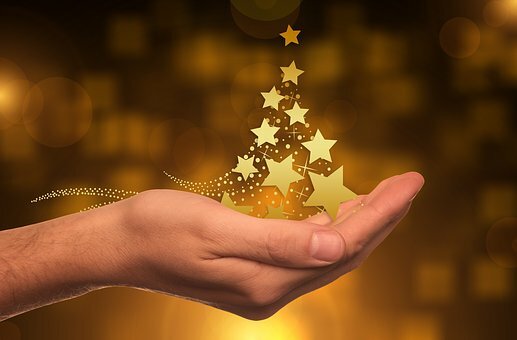 And what is it about Christmas that fascinates--the birth of our Saviour, getting together with family and friends, singing Christmas carols, eating traditional foods that we associate with Christmas . . . Wow! I'm so happy for you, to have published your own magazine! I didn't even know there was something like that. That's why I still enjoy blogging and reading blogs. Creative people who share! Of course it won't be a post from you without a great quote. So exciting, Brenda, I'm so happy for you. And proud. It looks very professional and to think that it is full of your beautiful writing. Well done you! Brenda, What a great project. Congrats. My favorite Christmas dessert is mincemeat tarts, I love white lights on the tree, and a Nativity under the tree is a must. Sylvia D.
Your magazine will be such a fun gift for you to give this year. It is always extra fun when you can find the just perfect gift for someone. As a former magazine editor, well acquainted with the groans and pains of our publication’s layout and proofreading staff, I can well imagine the labour of love this was, Brenda. Congratulations on a lovely and inspiring work - truly a keepsake worth keeping! I’ve read the sample pages on Blurb and can’t wait to read it all. Consider me entered. 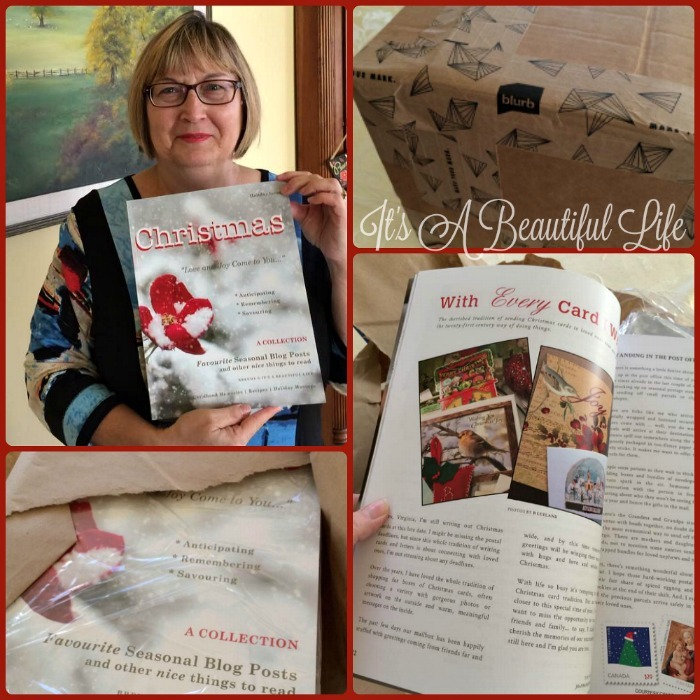 Thank you for publishing your magazine - I look forward to adding it to my Christmas box of good books and good music soon :) I especially love the music of Christmas - every year it's a delight to listen to the many CDs and online sources of the great carols and hymns. Special favourites include In the Bleak Midwinter and See Amid the Winter's Snow, as well as The Holly and the Ivy.